Mice have smaller heads and larger ears and eyes relative to the head compared with rats. Both are rodents but they have some genetic differences — rats have 21 pairs of chromosomes and mice have 20 chromosomal pairs. The animals are often identified by the size of feces. Rats tend to have a slightly longer life span compared with mice. Ears are large relative to the head. Ears are small relative to the head. A mouse is small and has a skinny tail. A rat is bigger and has a thicker tail. Mice do not dig deep and even if they do so, they may dig only to about a foot. Rats dig deep and long burrows. 1.1 What is a Mouse? 1.2 What is a Rat? "Rat" and "mouse" are not scientific classifications. These words are common names for rodents that look alike to the casual eye. Mouse is used to describe tiny, sparrow-sized rodents with long thin tails. As with rats, there are many species of rodents called mice which may or may not be closely related to each other: house mice, field mice, deer mice, smoky mice, spiny mice, and dormice are all called mice. Rat is used to describe medium-sized rodents with long thin tails. There are many species of rodent that are called rats: kangaroo rats, cotton rats, Norway rats, black rats, African pouched rats, naked mole rats, wood rats, pack rats, Polynesian rats, and many others. These different rodent species may not be closely related to each other at all! Mouse-like species are among the oldest mammals. It has been proposed that higher mammals evolved from rodent-like species many millions of years ago.Mice have been known to humans since antiquity. The Romans differentiated poorly between mice and rats, calling rats Mus Maximus (big mouse) and referring to mice as Mus Minimus (little mouse). In Spanish similar term are in use: ratón for mouse and rata for rat.Discoloration in mice was supposedly first noticed in China by 1100 BC, where a white mouse was discovered. However, there is sufficient evidence to believe that white mice were first noticed before that, in the times of the Greeks and Ancient Rome. The word "mouse" and the word muscle are related. Muscle stems from musculus meaning small mouse - possibly because of a similarity in shape. The word "mouse" is a cognate of Sanskrit mush meaning 'to steal,' which is also cognate with mys in Old Greek and mus in Latin. True rodents first appear in the fossil record at the end of the Paleocene and earliest Eocene in Asia and North America, about 54 million years ago. They are widely considered to have originated in Asia. These original rodents were themselves descended from rodent-like ancestors called anagalids, which also gave rise to the Lagomorpha, or rabbit group. The species R. norvegicus, originated in the grasslands of China and spread to Europe and eventually, in 1775, to the New World. Rats are widely distributed over the globe, and this distribution is a recent phenomenon. Despite their name, Norway rats originated in northern China. They hitched a ride with humans and spread along trade routes to colonize the globe in just the last few centuries. The rats' expansion is therefore extraordinarily recent from an evolutionary standpoint -- they haven't had time to specialize in their new local environments. A mouse is a rodent that belongs to one of numerous species of small mammals. The best known mouse species is the common house mouse. It is found in nearly all countries and, like the laboratory mouse, serves as an important model organism in biology. The American white-footed mouse and the deer mouse also sometimes live in houses. 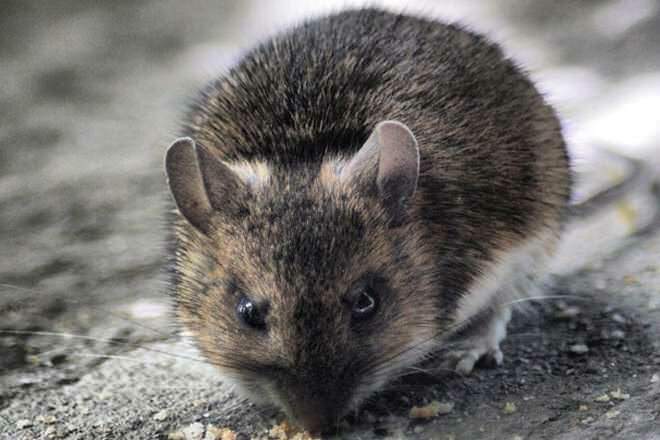 Although they may live up to two years in the lab, the average mouse in the wild lives only about 5 months, primarily due to heavy predation, the mouse is regarded to be the third most successful mammalian species living on Earth today, after humans and the rat. Mice can be harmful pests, damaging and eating crops and spreading diseases through their parasites and feces. They usually have pointed snouts and small ears. The body is typically elongated with slender, usually hairless tails, but different types of mice show large variations. : total length 28-130 mm, mass 2.5 to >34g. Mice can be found in forests, savannahs, grasslands and rocky habitats. Mice build nests for protection and warmth, but species differ in their preferences.Most species will construct nests of grass, fibers, and shredded material. Mice do hibernate. Rats are various medium sized rodents. "True rats" are members of the genus Rattus, the most important of which to humans are the black rat, Rattus rattus, and the brown rat, R. norvegicus. A rat has an average life span of 2-3 years. Rats are distinguished from mice by their size; rats generally have bodies longer than 12 cm (5 inches). The best-known rat species are the Black Rat Rattus rattus and the Brown Rat R. norvegicus. The group is generally known as the Old World rats or true rats, and originated in Asia. Rats are bigger than most of their relatives, the Old World mice, but seldom weigh over 500 grams in the wild. The common term "rat" is also used in the names of other small mammals which are not true rats. Wild rats living in good environments are typically healthy and robust animals. Wild rats living in cities may suffer from poor diets and internal parasites and mites, but do not generally spread disease to humans. Rats have a normal lifespan ranging from two to five years, though three years is typical. 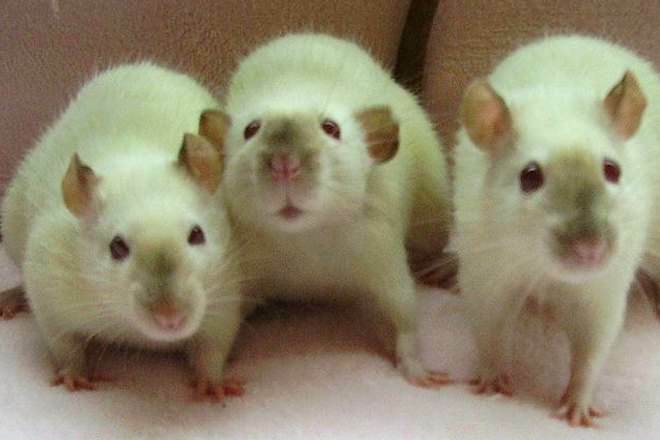 Rats are intelligent animals and can be trained to use a litter box, come when called, and perform a variety of tricks. Mice are omnivores; they eat meat, the dead bodies of other mice, and have been observed to self-cannibalise their tails during starvation. Mice eat grains, fruits, and seeds for a regular diet, which is the main reason they damage crops. They are also known to eat their own feces. Mice are social animals, preferring to live in groups. Every rat's environment is filled with many potential foods and with many non-foods: poisons (both natural and man-made), rocks, plastics and so forth. Their food choices are influenced by social interactions that may take place far away from foraging sites. They smell foods on the fur, whiskers and especially the breath of other rats and strongly prefer the foods those rats had previously eaten. Humans have eaten mice since prehistoric times. They are still eaten as a delicacy throughout eastern Zambia and northern Malawi, where they are an important source of protein. A common use of mice is to feed many species of snakes, lizards, tarantulas, and birds of prey. Mice also seem to be a desirable food item for a very large variety of carnivores. Rats, are edible by humans and are sometimes captured and eaten in emergency situations. For some cultures, rats are considered a staple. Bandicoot rats are an important food source among some peoples in India and Southeast Asia. Among the reasons rat meat is not more widely utilized are the strong prohibitions against it in Islamic and Jewish dietary laws, the prohibition of all meat by many followers in Hinduism. As a food, rats are often a more-readily available source of protein than other fauna. In some cultures, rats are limited as an acceptable form of food to a particular social or economic class. Specially bred rats have been kept as pets at least since the late 19th century. Rats are intelligent animals and can be trained to use a litter box, come when called, and perform a variety of tricks. Pet rats are typically of variants of the species R. Norvegicus, or Brown rat, but Black rats and Giant pouched rats are also known to be kept. Pet rats behave differently than their wild relatives depending on how many generations they have been removed, and when acquired from reliable sources, they do not pose any more health risk than other, more common pets. The lifespan of a mouse does NOT average 5 years. It's more like 1 year. Rats, 2-3 years avg, not uncommon to live to 5 or higher if well taken care of. Record for oldest living rat was 7 yrs.